A silver baseball on a bleacher near in front of an empty field. I found this a curious picture. I'm not even sure if the ball is a fixture of the park or an actual metal baseball or just spray-painted. But I couldn't resist snapping the photo. 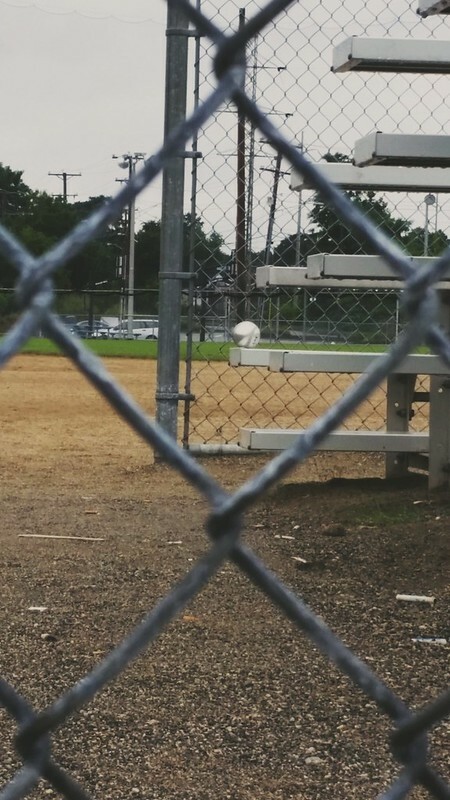 I purposely included the chain-link fence to look through as I feel it added something more--a distanced feeling about the baseball: something to be seen but not touched. The colors within this photo were also impressive in that they are largely dark and dull, except for the ball which seems the only bright spot in the frame.